Students from Becker built this pond in 1990. 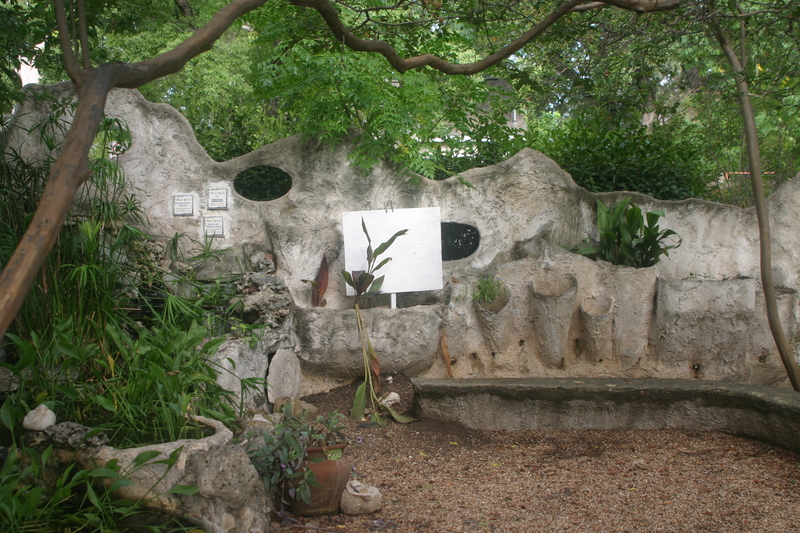 The pond was adopted and refurbished by the Austin Pond Society and Mermaid Landscapes in 2006. Volunteers are relied upon to keep the pond clean and full of water. The pond is a popular, shady place for garden teachers to have a class. A small, white bulletin board is handy for instructors to attach instructional materials.